Who’s the Fastest Dog in the East Bay? If your dog loves running as much as you do, you won’t want to miss the Palo Alto Medical Foundation Buddi Love Dog Mile for runners and their speedster companions. Runners and dogs will line up on Railroad Avenue in front of Lunardi’s to compete in the one-mile race through the streets of Danville. All dogs must run on leash and be under the full control of their owner. Only well socialized and leash friendly dogs allowed. Please carry a bag to pick up after your dog. People wishing to walk with their dog should register for the 5K. Have you ever wondered how fast you could run a mile on the road? Find out at the Mile of Truth. The iconic mile is unique in its ability to stoke the fire of even the most competitive runners. It’s 5,280 feet of pure, unadulterated effort. We’re excited to announce that the Mile of Truth has once again been chosen as a Pacific Association USA Track and FieldGrand Prix Championship event! We’ll have at least $5,500 in prize purse money, which includes $3,300 for the PAUSATF and $2,200 for elites! The Devil Mountain Run 5K is perfect for speedsters (get ready to set a new PR) as well as those wanting to get out with their families and walk. The flat and fast course starts downtown and returns via one of the most scenic portions of the Iron Horse Trail. Everyone is welcome – including the dog. 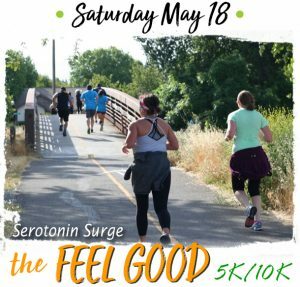 For those wanting to get more miles in, the Devil Mountain Run 10K travels through the Greenbrook neighborhood of Danville before returning to Town via the Iron Horse Trail. The (mostly) flat course is perfect for those who want to make the jump from the 5K distance. The slight downhill grade at the finish will give runners a chance to really fly.